LivingLens are excited to debut in the 2018 GreenBook Research Industry Trends (GRIT) Report list of the Top 50 most innovative market research companies. 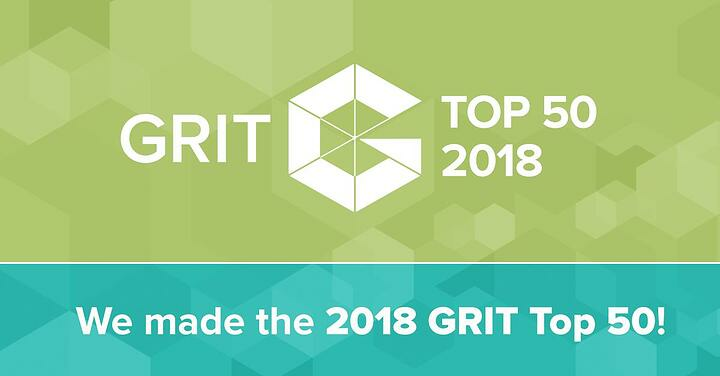 The annual GRIT top 50 ranking, conducted by Greenbook, a leading market research publication, is based on feedback from the global market research industry. This wave the sample of almost 4000 market research professionals, has identified LivingLens among the most innovative suppliers. In the survey, 1,598 unique companies were highlighted of which only the top 50 most mentioned make the final list. LivingLens is one of 14 companies featured for the first time, which demonstrates the level of innovation surrounding the sector. Being part of the list is a reflection of our aim to continually raise the value of video for market research. Our latest innovations take the analysis of video beyond what people are saying to understand their emotions, as well as what they are doing. The introduction of facial emotional recognition and object recognition earlier this year enhance the platform’s existing capabilities allowing brands and their agencies to unlock the insight in consumer video feedback. We’d like to thank our colleagues, partners and clients for naming us as one of the Top 50 most innovative companies in market research.